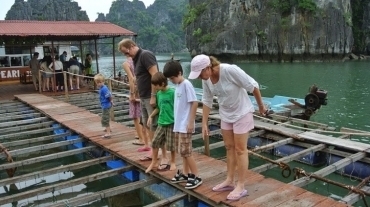 Halong Bay has so much more to offer than just the scene and sights. From kayaking around the myriad of islets and grottos to enjoying a romantic candlelit dinner in a cave, there are always some things for you to enjoy while at sea. 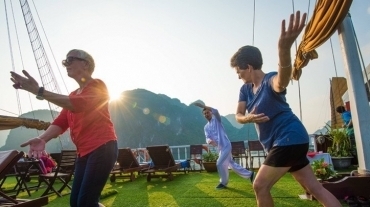 Engaging in Tai Chi session in the early morning is the perfect way to start your new day in Halong Bay. Halong Bay is known for not only majestic caves, limestone cliffs, and alluring beaches but also beautiful fishing villages. 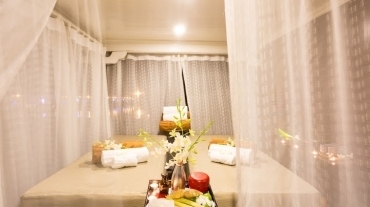 Get yourself pampered while on Halong Bay water is a real treat! 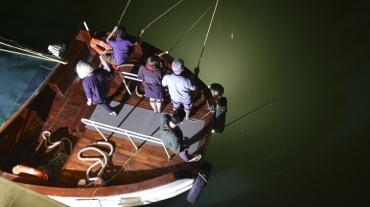 Squid fishing is considered the most engaging activity in the evening for many cruises. 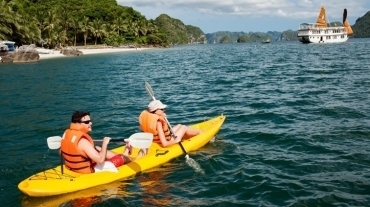 The tranquil waters and the hidden corners of Halong Bay make it completely ideal for kayaking. Cooking demonstration is an onboard activity which helps passengers not only to sample fine cuisine but also learns more about Vietnamese culinary culture. 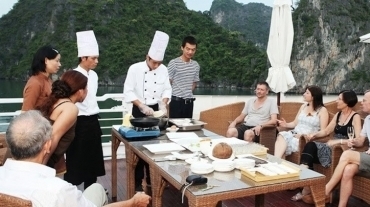 Visiting Halong bay on a cruise tripm, you may have a good chance not only to sample traditional Vietnamese delicacies but also enjoy BBQ in an extremely unique way. Nothing can be commensurate with a refreshing swim in the emerald water of Halong Bay. 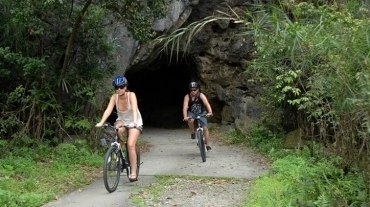 Cycling is an outboard activity which is normally included in 3 day 2 night itinerary. 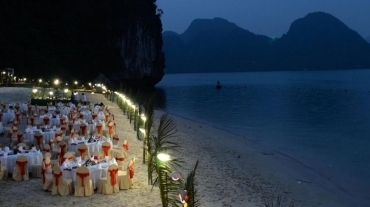 For those who are seeking a totally different experience of Halong Bay, dining in a cave is a must. 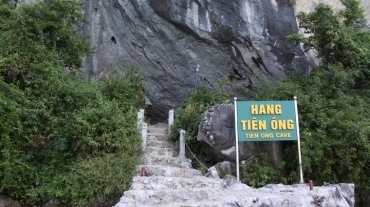 In addition to water-based activities such as swimming, kayaking, snorkeling, scuba diving, boat rowing, climbing is a popular activity included in itineraries of almost all cruises in Halong Bay. 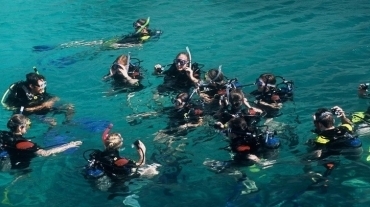 Halong Bay is an ideal place for travelers who love snorkeling or scuba diving with ts tremendously diverse ecosystem, including both tropical evergreen biosystem and oceanic and sea shore biosystem.